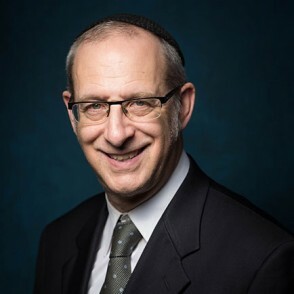 Rabbi Dr. Michael Rosensweig occupies the Nathan and Perel Schupf Chair in Talmud at the Rabbi Isaac Elchanan Theological Seminary and is a rosh yeshiva in the Yeshiva Program/Mazer School of Talmudic Studies of Yeshiva University. He has written extensively, contributing to numerous journals of Torah learning. Rabbi Rosensweig received his semikha (rabbinic ordination) from RIETS and was a distinguished fellow of its post-semikha institute, the Gruss Kollel Elyon. He received his BA from Yeshiva College and earned his PhD in medieval Jewish history from the Bernard Revel Graduate School of Jewish Studies while studying under Professor Haym Soloveitchik. Rabbi Rosensweig was also a student of Rabbi Joseph B. Soloveichik for seven years, and a student of Rav Aharon Lichtenstein, renowned Talmudic scholar, rosh yeshiva at Yeshivat Har Etzion and director of the Joseph and Caroline Gruss Institute in Jerusalem. In 1997, Rabbi Rosensweig was appointed rosh kollel (dean) of the prestigious Israel Henry Beren Institute for Higher Talmudic Studies (Ha-Machon ha-Gavohah le’Talmud) at RIETS. Rabbi Rosensweig is known for his intricate conceptual approach to Talmud study, as well as his heavy use of Brisker methodology in Talmudic analysis.